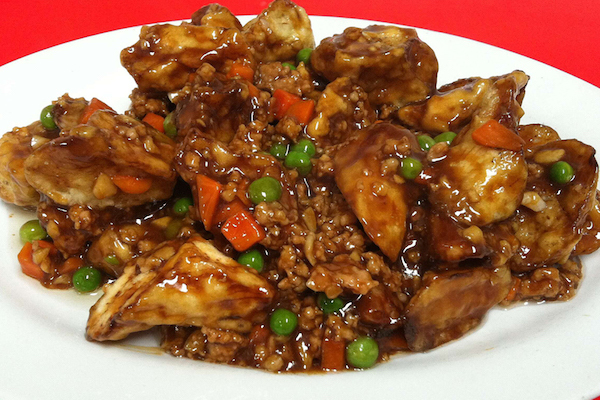 "The 'New Fu Run' that advertises 'Authentic Chinese Cuisine' opened a branch in Great Neck a few months ago, bringing the real stuff to Long Island." There was a time years ago when Long Islanders with a craving for diverse Chinese food traveled all the way into Manhattan’s Chinatown to get it. More recently, Flushing became the focus with a combination of Chinese-American dishes (egg roll, chicken chow mein, egg foo young, etc. ), most of which mainland Chinese never heard of and some authentic fare as well. Now, a new restaurant has reversed the trend. 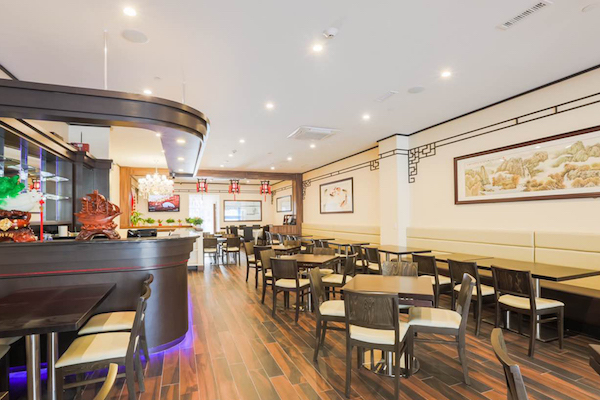 The “New Fu Run” that advertises “Authentic Chinese Cuisine” opened a branch in Great Neck a few months ago, bringing the real stuff to Long Island. Its attractive décor is an appropriate blend of modern and traditional. Chinese lanterns and an imposing chandelier dot the very 21st century surroundings. And while Golden oldie staples like hot and sour soup, fried rice, and lo mein are on the menu, they are the rare exceptions. Much more numerous are the likes of pork sour cabbage in casserole, snow pea leaves with garlic sauce, sea cucumber with pork elbow, and fried lamb kidney with cumin, all escorted by black tea. While American diners will not always respond positively to all this authenticity, a great many of these Chinese mainstays will satisfy or even delight locals, especially those open to trying unfamiliar dishes. We went both ways (Americanized and authentic) and were won over by the new-to-US Chinese dishes. An egg roll was a bland disappointment despite its tasty duck sauce accompaniment. On the plus side was sautéed sliced fish with white sauce that turns the usual bland neutrality of a simple flounder into a complex, slightly sweet creation. Deep fried eggplant with minced pork in brown sauce also scored. In fact, a diner of Chinese heritage at our table remarked, “My grandmother made something like this at our home.” Stir fried sour cabbage with pork and vermicelli tasted like the Chinese version of sauerkraut and more. 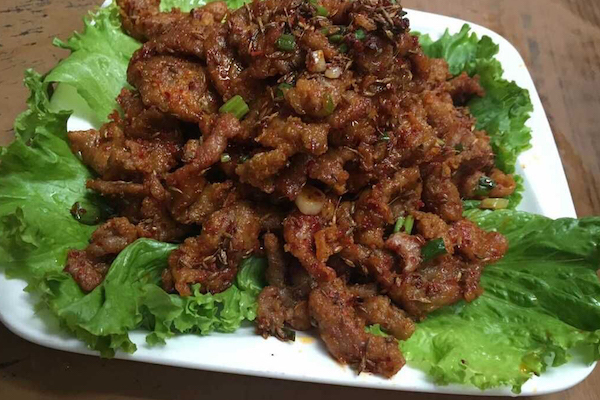 But crispy chicken and gizzards with cumin will appeal only to those who like chewy-spicy dishes. Yet New Fu Run will appeal to many, perhaps most patrons, especially when the bill appears. Our five bountiful courses cost less than $20 a person. Richard Jay Scholem practically invented the Long Island restaurant culture through 800+ reviews of the region's eateries both on radio and in print over the last 30 years. He is a former New York Times Long Island Section restaurant reviewer, has contributed to the Great Restaurants of...magazines and Bon Vivant, authored a book, aired reviews on WGSM and WCTO radio stations, served on the board of countless community and food and beverage organizations, and received many accolades for his journalism in both print and broadcast media. He is currently available for restaurant consultation. Reach him at (631) 271-3227.